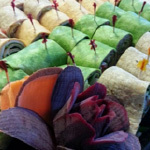 (714) 614-4504 Alfaro catering offers exquisite, beautiful caters displays with meals that taste as great as they look. Providing services in the Inland Empire, Orange County and Los Angeles County. 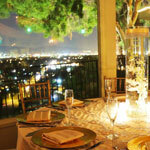 Alfaro catering perfectly provides you with quality meals, impeccable service and excellent value. 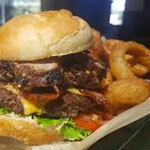 1625 Industrial Park Ave. Redlands , 909 792-4222, Angus McCurdy’s just sounds like a restaurant that focuses on meat. The first part of the name stems from the type of beef used for their tri-tip, while the last is one of their extended family’s surnames. 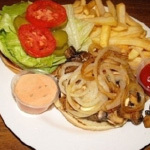 The menu is relatively simple: a number of burgers with or without bacon, onion rings, fries, a couple of salads and, of course, tri-tip in various guises including a sandwich, tri-tip fries, tri-tip salad and tri- tip chili. 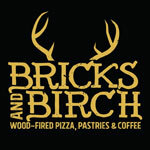 Bricks and Birch is located in the historic Fox Theater Building, 101 Cajon Street, 909 335-6787, specializing in artisan brick-oven pizza, pastries and coffees. 670 Kendal Dr. San Bernardino, 909 881-1502. Established by David Tallichet, The Castaway was one of the first themed restaurants. The Castaway’s grounds are adorned with Polynesian-style buildings and décor, waterfalls and American contemporary cuisine with a tropical touch. Dedicated to providing a welcoming atmosphere filled with the finest food, libations and first-class service to match its exquisite views, The Castaway is truly San Bernardino’s shining gem on the hill. 10020 Alabama, Redlands (909) 307-2913 Family-friendly chain serving classic Tex-Mex & American fare in a Southwestern-style setting, from sizzling fajitas, and slow cooked pork to chili-rubbed salmon and fall of the bone ribs Chili’s has something for everyone. 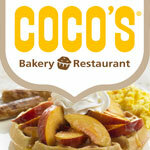 1140 W. Colton, Ave. 92374, 909 792-3116, Coco’s offers traditional breakfast lunch and dinner, along with seasonal favorites, desserts and Coco’s famous pies. 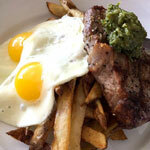 A gluten free menu is offered as well as a special “kids” menu. 402 No. 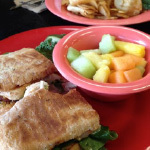 Orange St., Redlands (909) 801-3962 Corner Bakery Café offers handcrafted artisan breads and freshly baked desserts using only fresh ingredients from a real kitchen, sandwiches, salads, soups and treats, food for every life style. 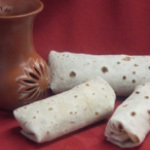 527 E. State Street, 909 335-9557, Cuca’s food is made fresh daily, from Cuca’s very own family recipes. Authentic, rich, delicious recipes, made with lots of love. 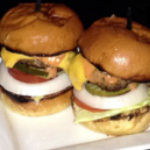 Whether you want to take it home, dine in, or have a catered event, Cuca’s is there. With over 7 locations to serve you, you can enjoy the best Mexican food in Redlands, Highland, Mentone, Rialto, Yucaipa, Loma Linda and Foothill Ranch. 1 E. State Street, Redlands (909) 792-2119 Darby’s American Cantina restaurant in downtown Redlands offers a selection of dishes to choose from with a twist of new flavors for the palate. 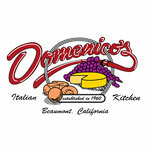 890 Oak Valley Parkway, Beaumont, 951 -769-0197, Domenico’s flavor of the finest Italian cuisine combines the freshest and finest ingredients with a genuine love for food and customers. 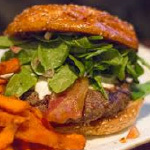 345 Pearl Ave., Redlands (909) 335-5700 Eureka Burger presents the enlightening burger experience, accompanied by fresh ingredients, artisan recipes, craft beer, classic cocktails and rock n’ roll. 27471 San Bernardino Ave. Redlands, 909 793-0333, Farmer Boys purchased the freshest ingredients directly from local farmers and purveyors, whenever possible. By going the extra mile for delicious, flavorful food, guests can count on a fresh-cooked, made-to-order meal every time. 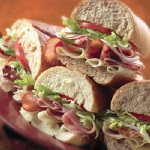 10040 Alabama Street, Redlands (909) 798-5588 and 1755 E. Lugonia Avenue, Redlands (909) 794-3957 Jersey Mike’s provide customers with the freshest, highest quality sub sandwiches available, prepared right in front of them and served with energy and enthusiasm. 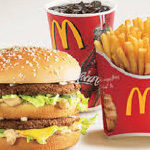 612 E. Redlands Blvd., Redlands (909) 793-1516 From a humble start as a small restaurant, McDonalds is proud to have become one of the world’s leading foodservice retailers in more than 100 countries, with more than 36,000 restaurants serving approximately 69 million people every day. 27521 San Bernardino Ave. 909 557-2220. What makes Miguel’s Jr unique is their passion for fresh food from family recipes inspired by Mary Vasquez’s childhood in Central Mexico. 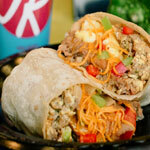 They promise to deliver the freshest, best tasting California Mexican food each and every day. 233 E. State Street., Redlands (909) 792-9911 Muffin Top Bakery offers high quality sweets that are both healthy and delicious baked without eggs and milk to make his goodies lower in fat and cholesterol, Sweet treats include sugar free treats using Moltitol, a natural sugar alcohol that is derived from fruits and berries and a variety of gluten free options which replaces traditional wheat flour with a mixture of potato, rice and tapioca flour. 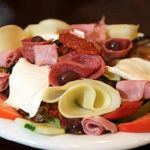 24960 Redlands Blvd., Loma Linda (909) 796-3770 Napoli Italian Restaurant comforting Italian ambiance and delicious dishes made from freshly cut, top quality and seasonal ingredients, with flavors that are unmasked, the best of Italian dining in the Inland Empires. 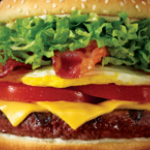 27476 Lugonia Ave., Redlands (909) 792-3641 Preparing a burger that makes you smile back (while “wowing” you at the same time) is the goal of the team at Red Robin. 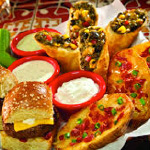 Red Robin is your home away from home. 615 W. State Street, 909 307-0026, Restore Kitchen on State offers delicious, made-from-scratch dishes and quality service, exploring the merits of American Farm cuisine. 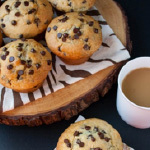 The second includes an expanded breakfast menu, a number of the core menu items that are so popular at the Lugonia location, and dinner items that will remind you of home and family. 26 E. State Street, 909 793-1919, Rock Cooking – The rocks are made of exceptionally hot by keeping them in a specialized over before bringing then to your table. You get an exceptionally fresh oil free good tasting entre using the hot rocks. 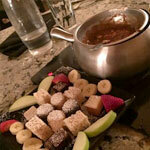 Fondu (the past-participle of the French verb “to melt”) has remained a popular communal style of eating. Using indulgent cheeses and traditional dipper, to extraordinary Swiss chocolate for a sweet experience Rok n Fondu offers a true experience in dining. 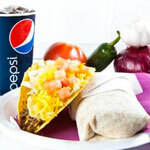 1154 Brookside Avenue, Suite AA (909) 307-9077 Rosa Maria’s is now known for their authentic Mexican food. Hand dipped rellenos, homemade tortillas and the signature garbage burrito are just a few of the reasons for their popularity. 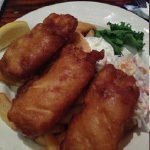 106 Orange Street (909) 307-8913 The Royal Falconer Pub is famous for their fish and chips, but other favorites include Shepherd’s Pie, Bangers and Mash, English Sausage Roll and our fresh made Cornish pasties, included on the menu you’ll find great pub grub including 100% Fresh half pound Angus Burgers, Awesome Sandwiches and various lavishes. A children’s menu is also available for the little ones 12 and under. 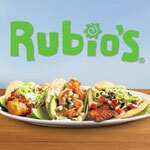 633 Orange Street, 909 335-2802, At Rubio’s they believe that when you put the best ingredients in, you get the best food out. That’s why they use sustainable seafood, all natural chicken, raised without antibiotics, fresh produce, stone-ground corn tortillas and more. 110 W. Redlands Blvd. (909) 792-3579 From U.S.D.A. 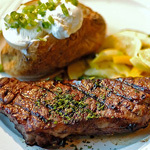 Choice steaks cut fresh in-house every day, to fresh salads, soups and baked goods – all created from scratch in real kitchens – Sizzler® is where America goes for great food and value. 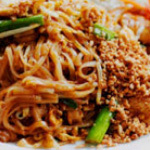 1824 W. Redlands Blvd (909) 798-7321 Our cooking style is very traditional as if you would visit Thailand. We prepare each and every dish fresh, as well as customize for your level of spiciness. 105 E. Citrus (909) 798-7321 The Eating Room provides a comfortable and colorful setting to enjoy fresh foods prepared to order daily for breakfast, lunch or afternoon tea. 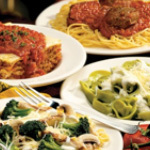 1635 Industrial Park Ave. (909) 798-7774 Nearly every item on The Old Spaghetti Factory’s menu is made on-site, from scratch, using fresh ingredients. 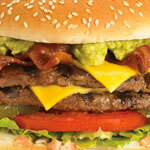 They serve you a complete meal, which includes bread, soup or salad, and dessert. And with our famous kid’s menu, special treats and fun activities, we encourage families to feel at home in our restaurants. 24 E. Redlands Blvd. (909) 792-9919 The Tartan doesn’t just serve burgers, they also serve seafood and other cuts of meat including beef, chicken and pork. If you are looking for an alternative, vegetarian entrees on our menu including burgers to simple salads featuring freshly cut lettuce and plenty of dressings.